For several years, these characters shared space in the barn with my sister’s composting worms. People keep asking how I came up with the idea for my novel, The Inheritance, and this is a good place to explain. The book was actually more than 20 years in the making, and I completed the first draft in about 1992 after taking a course on creative writing at Rice University in Houston. Life was complicated, and I put the it aside and kind of forgot about it as I proceeded to move among eight homes in four states. I rediscovered it in 2010 while I was helping my sister Kate clean out her barn about 80 miles south of Santa Fe. Kate never throws away anything­–for which I have occasionally been grateful–and when I found the manuscript in a box, I offered to take it off her hands. Reading it was odd after all that time, like reading a book by someone I didn’t know; and it struck me as being surprisingly good. A few pages from the end, I also had a metaphysical experience that encouraged me. 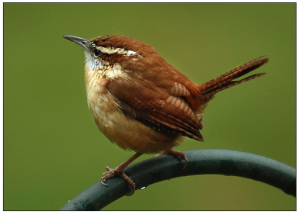 I was working in my upstairs office in my home in Santa Fe, and suddenly I was visited by a wren that had mysteriously entered the house and flown upstairs. I captured it in a towel, opened the door onto the roof, and set it free. After reading the last pages of the novel, I decided that the bird was a message to set it free as well. That sounds easy, but the process was a whole lot more complicated than putting a Blackberry on a dresser and eliminating the description of smoking in a restaurant. Months of labor ensued, followed by weeks in the hands of a professional editor that led to more months of work. Finally, wanting to get the book out before I died, I decided to self-publish this year. I had a great experience with Abbott Press, and here I am. One of three brothers had married a woman named Helen–as in Helen of Troy. I don’t know the detail, but she had also made the sap rise in the other two and created havoc within the family. The men played polo, and I remember taking a furtive look at Helen up in the stands during a game one afternoon. I remember light-colored, permed hair but nothing fancy, since it was in the days before heavy makeup. So a familial dilemma was the kernel of my story, and I had to build around it. My imagination had been captured by summer trips back to my father’s roots in Scottsboro, Alabama, so I based the story in the fictional Alabama town of Atheneum. I knew there would have to be conflict, but I honestly don’t remember how I came up with the heroine who would have to confront the classic Helen. The process is fascinating. You create characters, you give them the lay of the land, and then you record what happens. For several years, these characters shared space in the barn with my sister’s composting worms. I believe that their story was greatly enriched by the experience.